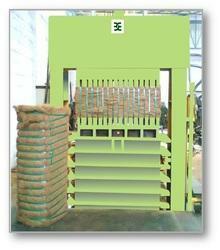 Leading Manufacturer of hydraulic coir fiber baling machine from Coimbatore. We offer Hydraulic Coir Fiber Baling Machine to our clients. Delivery Time: 3 Months from Confirmation of Order. Packaging Details: Container Stuffing as per Customer Requirements.